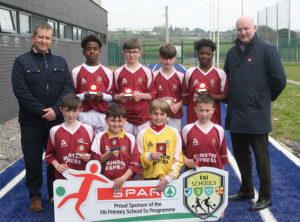 Waterford IT Arena, Carriganore played host to the Waterford County Finals of the SPAR FAI Primary School 5s Programme on the 10th of April. 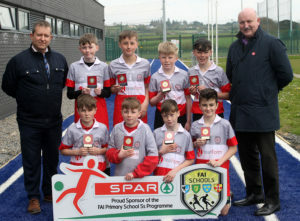 The SPAR FAI Primary Schools 5s Programme has seen participation figures grow year on year to become the largest primary schools’ competition in the country. 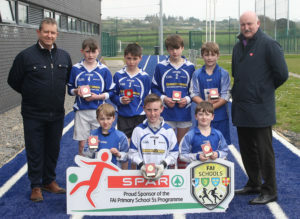 36,616 students from 1,691 schools are contesting the SPAR 5s this year, 1,368 of which hail from Waterford. Through a series of local qualification rounds just 6 schools progress from a hard-fought Waterford County Final onto the provincial finals. The ‘A’ Cup, open to boys and/or mixed teams from small schools, saw 4 passionate schools play a really exciting competition. Knockmahon Seafield NS triumphed in what was a thrilling contest. The ‘B’ Cup, for medium sized schools, again proved to be a compelling division with 5 teams involved in the round robin contest. 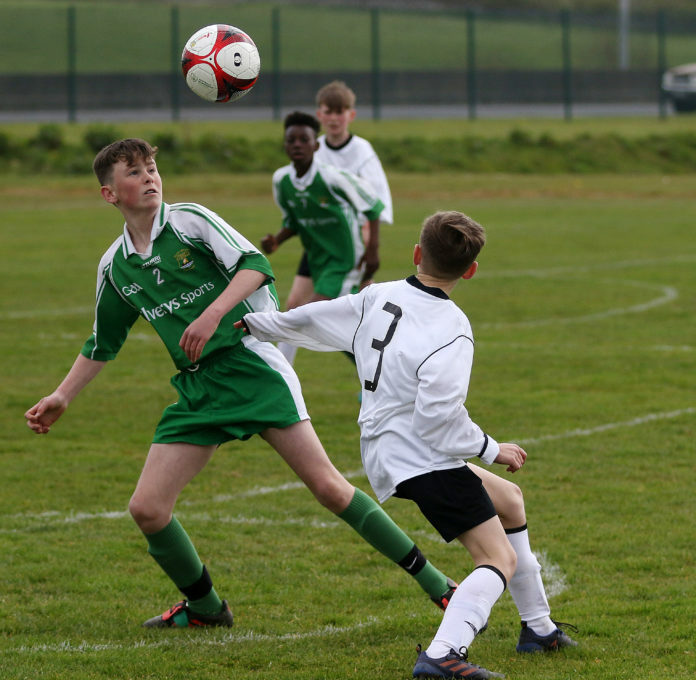 Gaelscoil Philib Barún from Tramore were very impressive winners with four straight victories. The ‘C’ Cup, for large schools, was another hard-fought contest between 4 very talented schools. 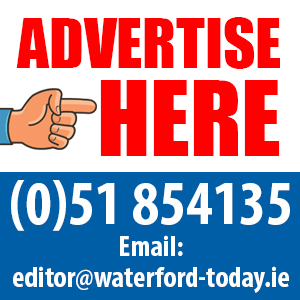 St. Declan’s NS from Waterford city once again proved to be best with three victories to be clear winners. The winners will now progress to the Munster Finals on Tuesday May 14th in Corbally, Co.Limerick. 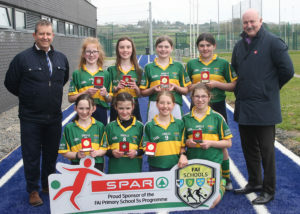 The rise in the number of girls putting boot to ball has been particularly pleasing for sponsors, SPAR, as 50% of participants are now female. 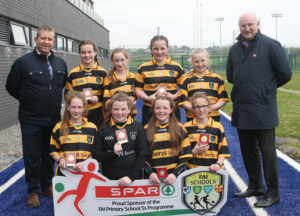 Participation in the girl’s division of the SPAR FAI Primary Schools 5s Programme reached an all-time high this year with 15,344 4th, 5th and 6th class girls registered making it more competitive than ever. The Girls ‘A’, ‘B’ and ‘C’ Cup finals were also held on the 10th of April where there was a fantastic atmosphere throughout the competition. In the Girls ‘A’ Cup, for small schools, Ballyfacey NS defeated every school in their section to qualify for the Munster Finals. The vital match was a really exciting and hard-fought 2-1 victory over Newtown NS. In the Girls ‘B’ Cup for medium sized schools, Piltown NS sealed qualification to the next stage and in some style too with three excellent victories. 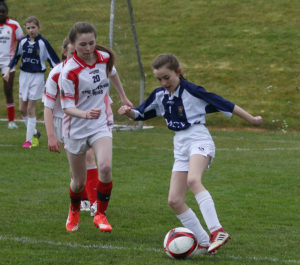 Holy Cross NS from Tramore put in a fine display to progress from the Girls ‘C’ Cup division for large schools.